Sick of getting pricing that don't really tell you the real cost? No gimmicks here, just 100% transparency in what you are getting for the Price Plan that you choose. No Set up nor Monthly Fees. First Number Mask Free. 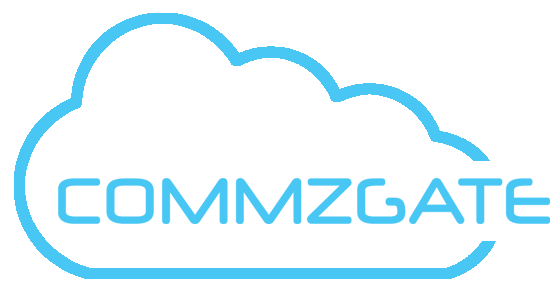 CommzGate GO offers low-cost SMS via SS7 networks. This option is optimised for Marketing broadcasts to provide you with great savings. Mega 30,000 S$1,020 S$0.034 Lowest Price! Consisting of a full-featured Web Portal, a secure Cloud API, and world-class Direct-to-Telco™ connectivity, CommzGate Cloud SMS is the easy and reliable solution for your SMS needs. With CommzGate Direct-to-Telco™, your Data never leaves Singapore. Our network architecture is fully licensed by IMDA. For volume purchase of 100,000 SMS credits or more, please contact our team for bulk pricing information. Advance Options *Additional charges apply. How do the Pre-paid SMS packages work? CommzGate GO and Basic Plan is based on Pre-paid credits. Users get to use as many SMS as stated in the package they have paid for. The Power and Pro plans are Post-paid plans that bill users based on the number of SMS used a month. There is no limitation on their usage. Is there an expiry or time limit for Pre-paid credits? No. There is no expiry nor time limit for the usage of any Pre-paid credits purchased. How many Pre-paid credits does 1 SMS cost? Each SMS sent to a Singapore number cost 1 credit. Overseas numbers would cost 3 credits for Basic Plan (or 5 credits for GO Plan). How do you define the length of 1 SMS? Why is there a Setup cost for the Power and Pro Plan? The Setup cost is in consideration of the more complex account configurations necessary in the Power and Pro Plan. The Monthly Subscription for the Power Plan is in consideration of the additional features and phone support provided in the plan. Is the SMS Price rate of the Power Plan and Pro Plan different from that of the SMS PrePaid packages? Yes, we offer a discounted SMS rate for the Power Plan and Pro Plan. Please email us and we will provide you with a detailed price list and answer any of your questions. What is Number Masking and how can I use it? Number Mask allows you to set the sending name that appears in an SMS message (eg. ACME instead of 73333, limited to 11 characraters). This optional feature is available to all Price Plans at an additional cost. They are some questions I like to ask but is not addressed in this Q&A. Is there someone I can approach to address those queries? Yes, please do email us!